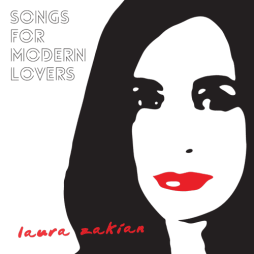 Laura Zakian’s ‘Songs for Modern Lovers’ has brought a fresh, elegant approach to a wide range of songs without ever losing the heart. There are fresh colours to the jazz palette with skilful, beautifully arranged interpretations of some great contemporary songs from the likes of John Martyn and Paul Weller to redefined covers of classics from the American songbook. I love her version of I Thought About You with its stylish, cool and slightly dark hued approach. So an iced bourbon, a mellow evening and a song for a thoroughly modern romance? It’s all here. 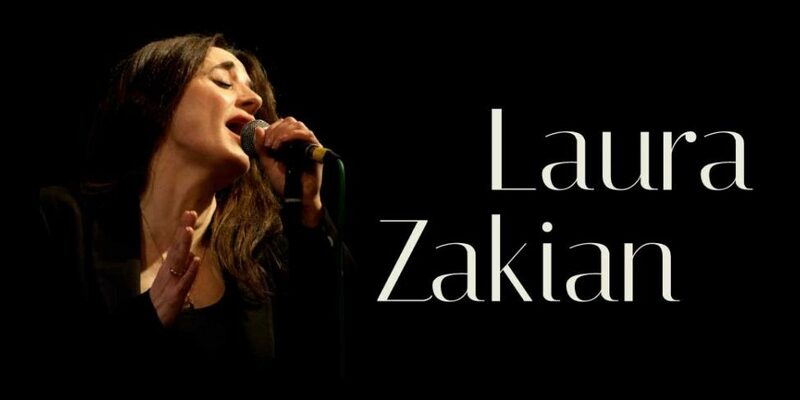 It’s always a pleasure to hear familiar jazz standards approached in a fresh and original way, but in her latest album, Laura Zakian takes her audience one step further. Songs for Modern Lovers invites the listener into a deeply personal world, with a sequence of songs discovered in youth and cherished ever since. A handful of old friends from the Great American Song Book are here, side by side with neglected pop songs from the 70’s and 80’s which spring into new and beautiful life in Zakian’s hands. To say that these performances are expressive would be an understatement: Chicago’s 1976 hit If You Leave Me Now benefits from Steve Lodder’s plangent piano voicings, Zakian’s voice heartbreakingly soft but never losing that slightly penetrating edge that makes her such an exciting singer to listen to. Another unexpected gem is Sam Brown’s 1989 torch song Stop, re-invented by Laura and saxophonist Paul Bartholomew as a driving Latin number: still a cry from the heart, but a groovy one. The standards, too, benefit from Laura Zakian’s infinitely flexible voice: We’ll Be Together Again can challenge a virtuoso with its angular chromaticism, but in her hands it takes on a startling clarity and sense of direction, the hopeless optimism of the words underpinned by an atmospheric arrangement in 5/4 by the late Peter Saberton. Makin’ Whoopee is another striking arrangement (by Laura herself with Paul Bartholomew) with a funky New Orleans groove, the vocals drop-dead cool and rhythmically deft. Such a diverse set of numbers is rarely to be found on a single album, but that makes Songs for Modern Lovers feel all the more honest: after all, how many of us grew up on a diet of pure jazz? By applying her jazz intelligence and subtlety to each of these 13 stunning tracks, Laura Zakian gives us all permission to keep on loving the music we once loved. ****Album number four from singer Laura Zakian is part homage to Frank Sinatra’s classic 1956 album Songs for Swinging Lovers, with seven of the album’s tracks featured here, and part homage to more contemporary love songs that the singer grew up with. It’s a personal mixtape that not only showcases the singer’s beguiling timbre, but also her command of mood and pacing. The album also serves as a tribute to arranger, composer and pianist Peter Saberton, who sadly passed away shortly after penning more than half of the sparkling album arrangement. Zakian immediately taps into her characteristic warmth and intimacy on album opener, Elvis Costello and Cait O’Riodan’s ‘Baby Plays Around’. The first of the seven Sinatra interpretations, a swinging ‘Our Love Is Here To Stay’ features one of several fine solos by pianist Steve Lodder. Underpinned by Paul Bartholomew’s perky bari sax, Sam Brown’s hit ‘Stop’ is transplanted to Cuba in a sunny latin reworking. Other highlights include a quietly dramatic ‘I Thought About You’ and ‘Anything Goes’ in which Lodder’s arrangement channels his best New Orleans manner. Franks Sinatra’s Songs For Swinging Lovers provides the template for this very personal collection of standards and contemporary songs, mixed with selections from that original Sinatra album, including You Make Me Fee So Young and Anything Goes. Laura’s direct unfussy approach is enhanced by wonderful arrangements by the late Pete Saberton, providing delicate, subtle shadings to Laura’s versions of Chicago’s If You Leave Me Now, Paul Weller’s You Do Something To Me and John Martyn’s Sweet Little Mystery, modern standards that she succeeds in making her own. She’s equally at home, however, with Gershwin’s Our Love Is Here To Stay and a gusty Makin’ Whoopee. Inspired, apparently, by Frank Sinatra’s iconic Songs For Swinging Lovers album, this is Zakian’s ‘mixtape’ of some of her favourite tunes, all sung in a light swing-jazz style and jolly lovely it is too. It features songs from the Sinatra classic (Makin’ Whoopee, Too Marvellous For Words, We’ll Be Together Again etc) as well as a few left field choices (Sam Brown’s Stop, John Martyn’s Sweet Little Mystery and Paul Weller’s You Do Something To Me) and the musicianship is exemplary throughout. This set features a bunch of songs, some popular, many classic, others just ones she likes, that Laura has compiled as a sort of ‘mixtape’ of music that is important to her. It is music she likes but also says to the listener ‘this music is who I am.’ With gems like I Thought About You, You Make Me Feel So Young and Anything Goes, few jazz enthusiasts will complain. Laura has also commissioned new arrangements, most of which have the line slowed down to give a fresh, original reading and a new approach to the individual songs. Her voice is bright, warm, often sultry by turn and she pulls out all of the meaning and emotion in her interpretations. A good place to start might be Our Love Is Here To Stay where she sings with seemingly casual but studied pitch and improvises on the line along with a sterling accompaniment by the first rate rhythm section where Steve Lodder is accomplished and prominent in support. Other pieces benefit from strong backing by Parricelli’s guitar and the warm, gutsy baritone of Paul Bartholomew. Makin’ Whoopee works very well, as do virtually all these selections although one or two up tempo pieces might have made for more variety overall. Popular songs, unfamiliar to the jazz fraternity like Stop by Sam Brown and If You Leave Me Now by Chicago, make for a fresh approach with Laura’s jazz approach and smoky jazz voice making a good case for making up for that lack of variety in tempi with something a little different and new. At any rate this is a well programmed set with imaginative and stimulating arrangements and is certainly highly recommended.